Chichester Voices’ next concert is “The Divine Genius of Mr Purcell” celebrating the work of Baroque genius Henry Purcell. It will be performed at St George’s Church, Cleveland Road, Chichester, PO19 7AD, on Saturday November 10th 2018 at 7pm. Although Purcell’s works are not quite as well known as Handel’s, with the exception of the achingly beautiful “Dido’s Lament” which will be performed, they effortlessly display the same varied range of musical styles, from sparkling grandeur, through interweaving fugal passages, to stunning polyphony, combining solo, choral & orchestral writing. 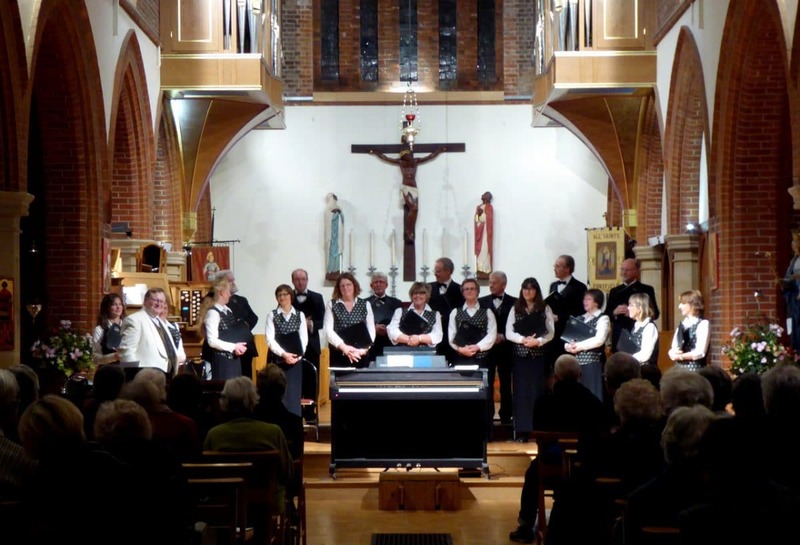 The choir is raising money for the very deserving St Wilfrid’s Hospice and continues the theme of single composer tributes, following on from the hugely successful, sell-out Handel concert this time last year. The concert will feature professional soloists, The Orchestra of Friends, and 2 guest trumpeters, highlighting the majesty & splendour of the baroque repertoire! The programme includes the hauntingly beautiful “Dido’s Lament”; the Coronation Anthems “I was Glad” and “My Heart is Inditing” for 8 part chorus; orchestral works such as the “Fantasia no.7 for Strings” & “Sonata in D for Trumpet & Strings”; and the popular “Te Deum & Jubilate Deo in D”….the preface to the vocal score describes how ‘all the strands come together at the final Amen, and, with the trumpets soaring above the ensemble, a work of great technical and musical ingenuity ends in a blaze of sound’! Don’t miss it!